I need some help. I have a PCB that I can't identify and I am hoping someone can shed some information on this. 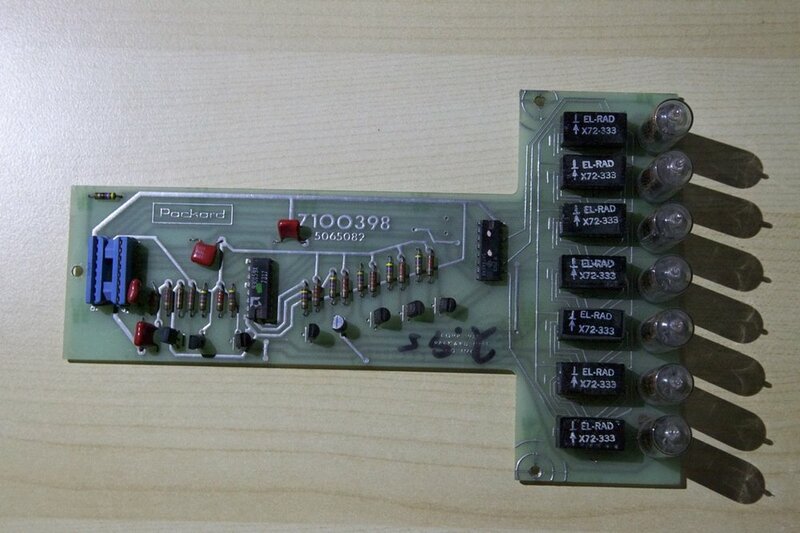 It is a Packard Instrument PCB from 1971. It has the numbers 7100398 and 5065082 on the board. There are 7 RCA DR-2110 Numitron tubes soldered to the fron and each one seems to be driven by an EL-RAD X72-333. There is also one AMD IC with the markings 930159x 7317 and a TI M 7523 SN7446AN. I am guessing that this is part of either a counter or a calculator of some sort. Specifically, I would like to know what this device is from and what the EL-RAD components did. I can't seem to find much information on either one. If you have any guesses, please leve a comment below!